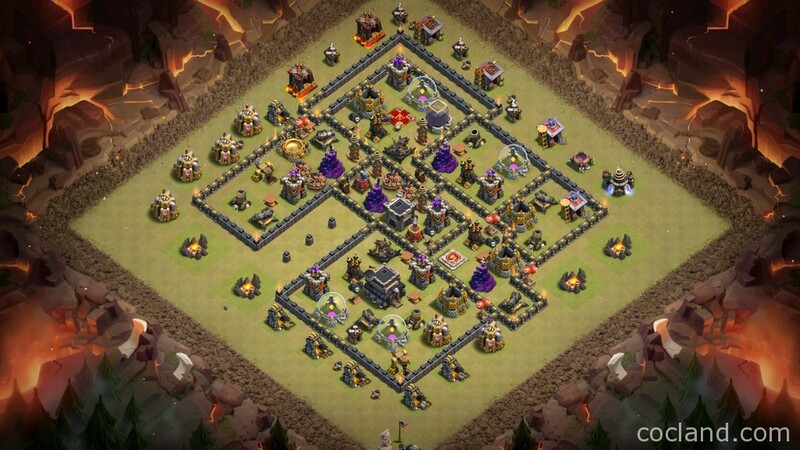 Hey guys, today It’s jonrdavies here and today I am very glad to introduce to you guys this new stunning Town Hall 9 Clan War Base which was designed by me! 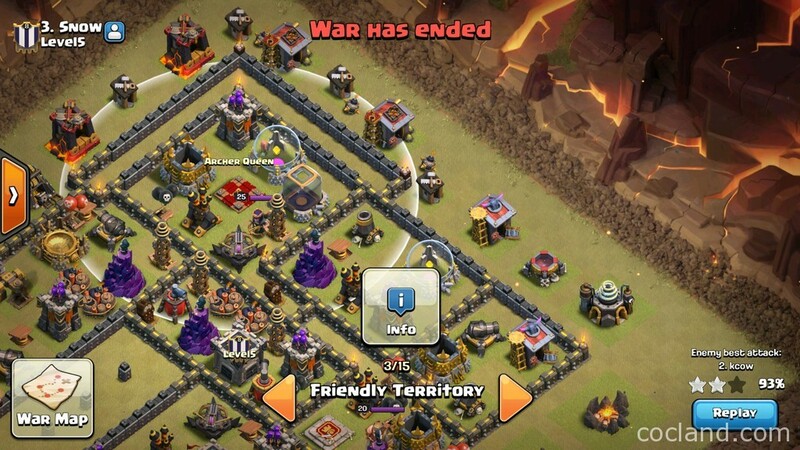 Last year, I tried lots of popular Town Hall 9 War Bases but after months, I found that none of them worked reliablely. 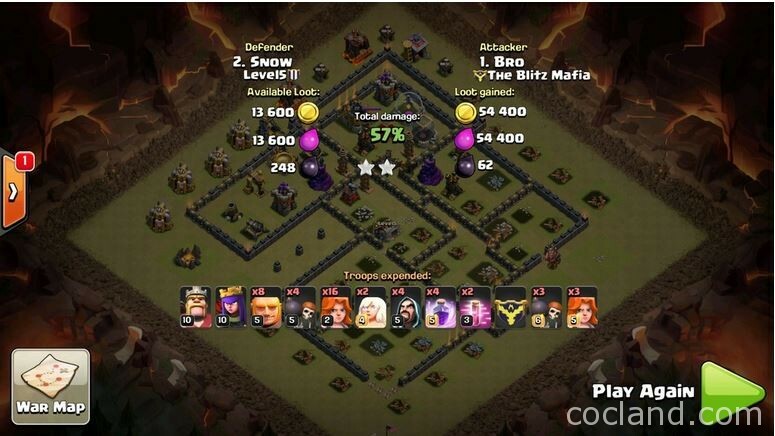 So, I decided to design my own one a few months ago and after learning/researching a lot about designing Clash of Clans bases, here it is, my well tweaked Clan War base for Town Hall 9, the Snow Fort. 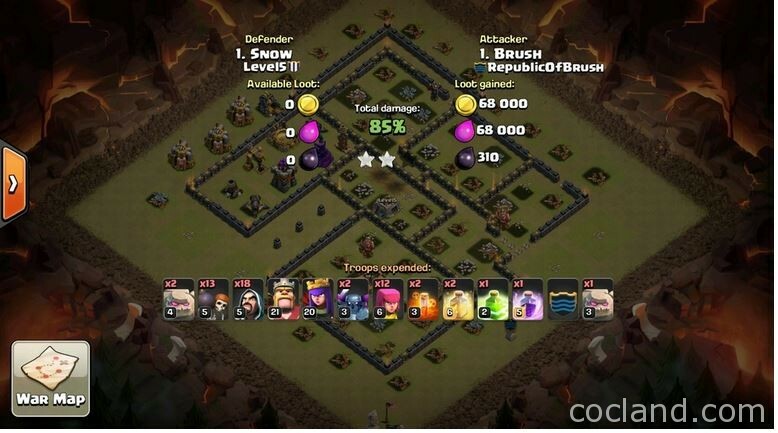 I strongly believe that all Town Hall 9 base designs can be 3 starred, no matter how good they are, especially those which are not fully upgraded. 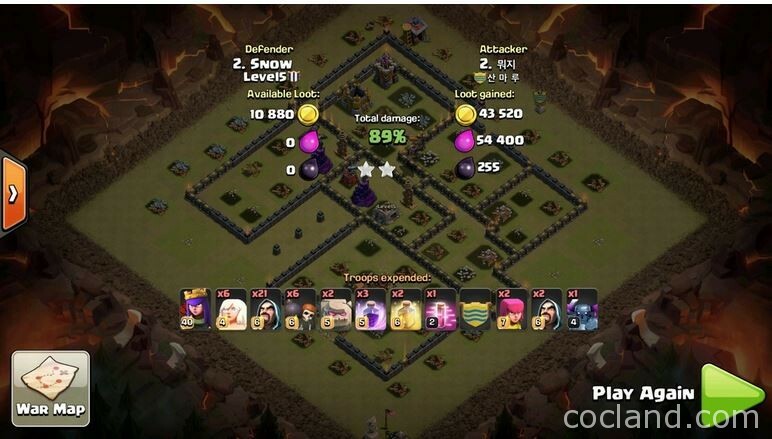 So, don’t be upset If you get 3 starred while using this layout. 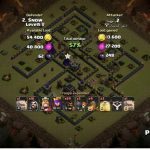 Take a look at your opponent troops and his strategy before posting a negative review here. This is one of the most outstanding features of this layout. It allows you to control the flow of enemy troops when they come through the base. 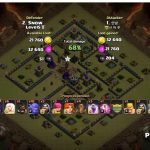 By understanding the predictive pathings, we can easily concentrate high DPS defensive buildings along the pathings where opponent troops will always travel through. 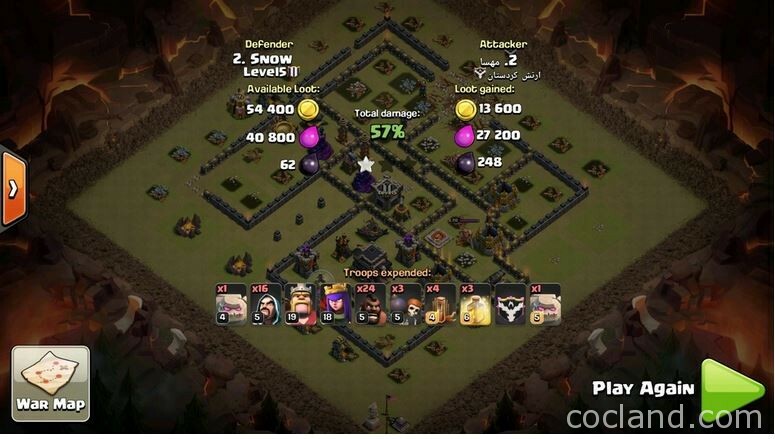 This will also create a higher chance that the attacking troops will trigger all traps nearby. 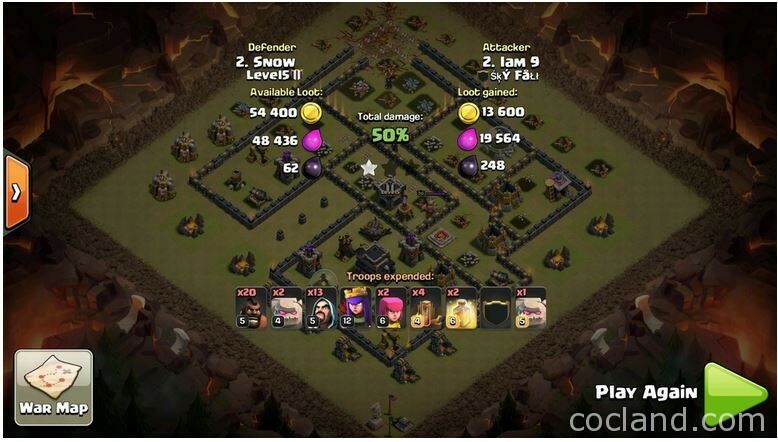 If your traps can’t be triggered after some raids, it’s such a big flaw which need to be fixed. First, let’s talk about our traps! 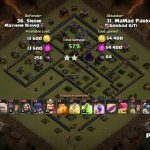 Tesla Farm is one of my favorite defensive features because it can deal enough damage per second to kill Hog Rider even while they are being healed. All 4 Teslas are placed close enough so they can easily hit the same target, but, they are also well placed in three separate compartments, this makes it very hard for the attacker to take down them all simultaneously. Small Bombs are well placed outside the walls, where attackers usually attempt the breach. Small Bombs are placed next to the Town Hall and Archer Queen Island compartment. They can easily get triggered by Wall Breakers and always have enough time to detonate and take out those Wall Breakers before they destroy your walls. 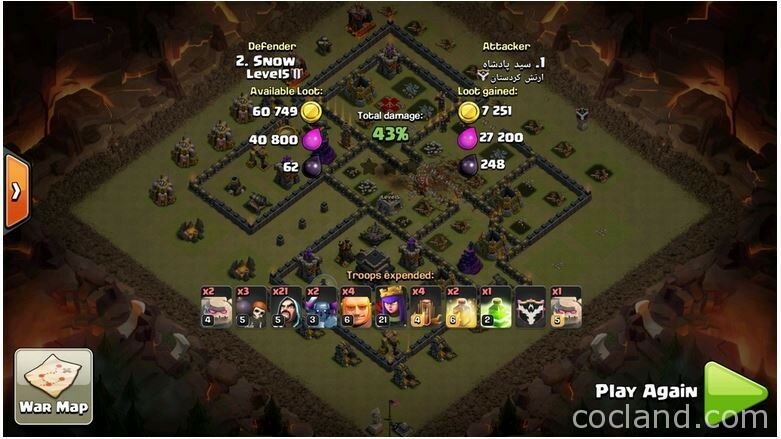 This can easily ruin attacks ’cause attackers will waste lots of troops just to open an compartment. We all hate Wall Breaker fails. Giant Bombs are well placed inside the core. They are nearly can’t be triggered by the Kill Squad. 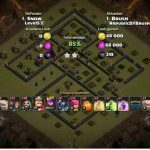 During my tests, most Hog Rider attacks are failed because of the core Double Giant Bomb. 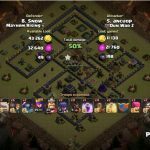 You can easily take a look at some defense logs below to see how effective it is. This is a nice add to the kill box, not only against Hog Riders but also Valkyries and P.E.K.K.A. I just can’t find any better spot in this base to place them in. 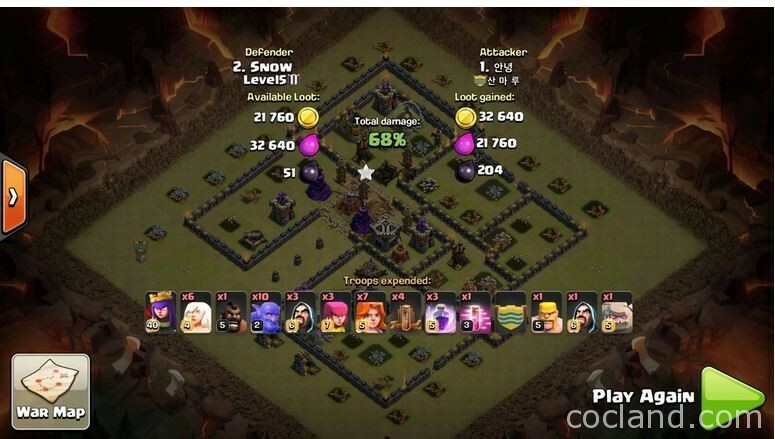 Honestly, in this layout, Spring Traps are tweaked in order to deal with Valkyries rather than Hog Riders, since the Double Giant Bomb spots are very effective against Hogs. But, yes, they definitely work well in order to finish off Hog Riders. Point Defense Distribution and Compartment Spacing are other great features of this base. The outer compartments have more than 7 tiles between walls so we can easily mix point defense with other ones. 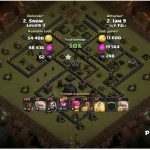 Setting up defenses like this discourages Surgical Hogs and Queen Walk. 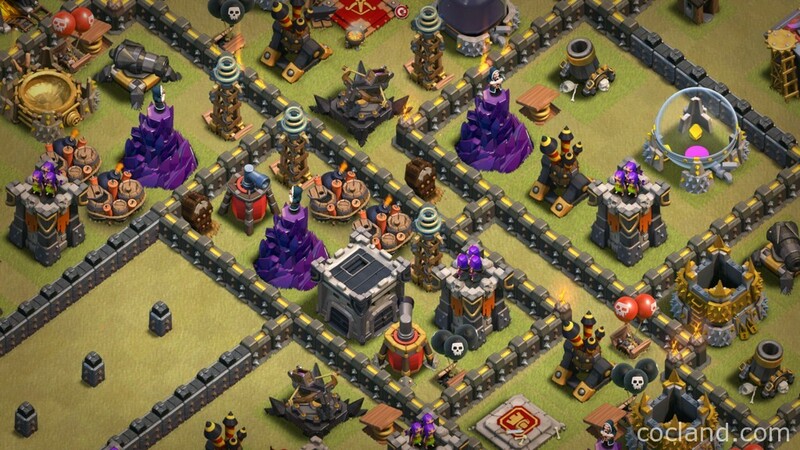 Point defenses placed along the outer walls make this base susceptible to these attacks. 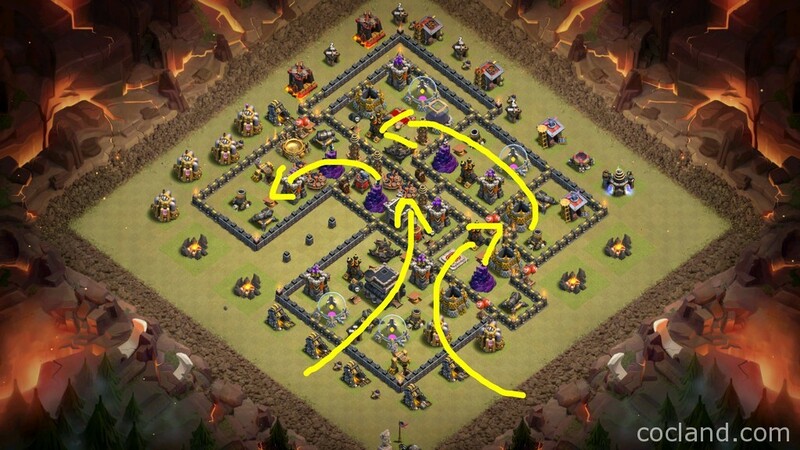 Queen Walk requires lots of time to scout and this base makes it harder for the attackers to choose the right side to attack. It is extremely hard to break into this compartment with SOME Wall Breakers. It is also very hard to target her outside the walls unless they get inside this compartment. 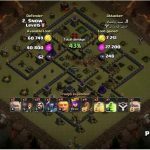 Air Defense, Archer Tower, X-Bow and the Tesla nearby provide the Queen a great support, and also the kill box in the core. 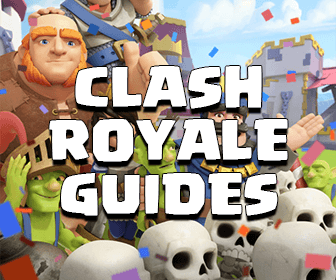 This will force the attackers to use mere troops to mitigate the Clan troops If they don’t scout properly before raiding, or, force them to launch the main Kill Squad when they are not ready. 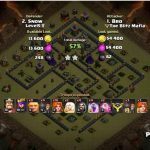 While using this base, I have found some great defensive Clan troop combinations working very well with it and you should definitely give them a try! Witch + 2 Valkyries + Minion: This combination is very strong against Ground attacks. Witch + Valkyrie + Wizard + 2 Minions + 2 Archers = more balanced one, great against Ground. Dragon + Balloon + Wizard + Archer. Okay guys hopefully you have enjoyed this base! 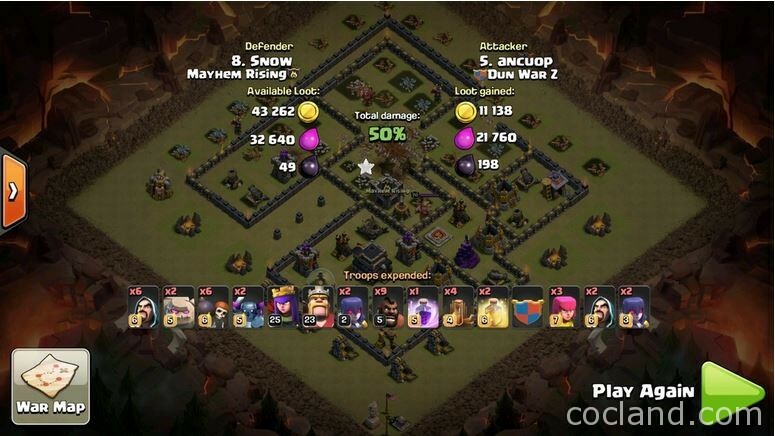 The main page of this base layout can be found at here. 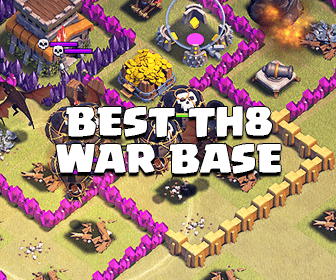 Don’t forget to share this stunning base with your friends If you like it! 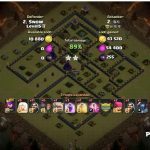 xD Clash on!